Left: Ptygmatically folded aplite dike in quartz-biotite-muscovite schist of the middle Poleta unit. The dike is not folded where is at low angle to the foliation in the schist. 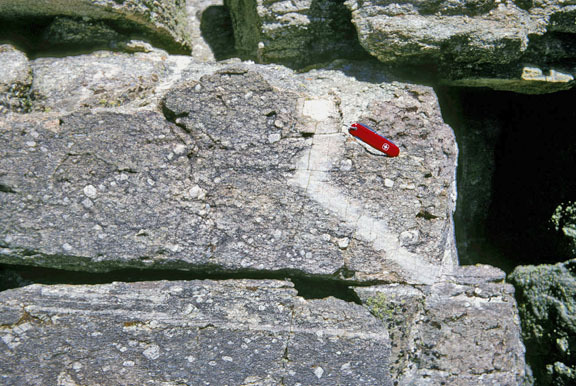 The dike was folded when the entire section was flattened parallel to the hammer. ©A.G. Sylvester 1966. 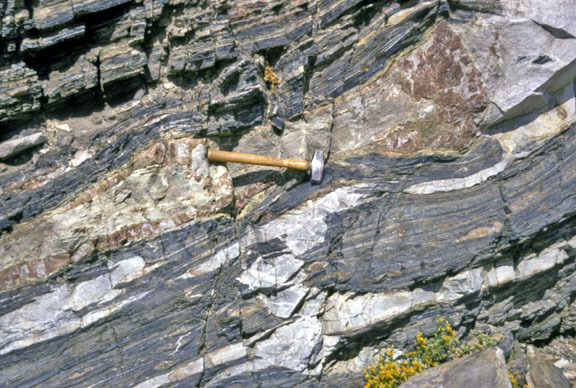 Right: Ptygmatically folded aplite dike in quartz-biotite-muscovite schist of the middle Poleta unit. 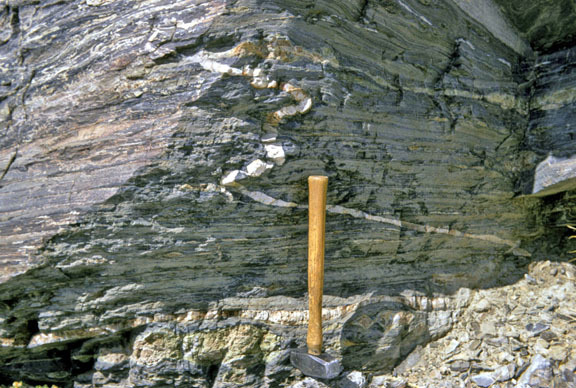 The dike is not folded where it is parallel to the foliation of the schist. 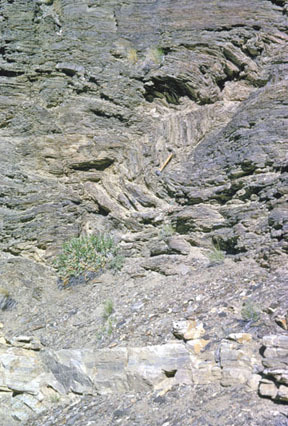 The dike folded when the entire section was flattened normal to the foliation. ©A.G. Sylvester, 1966.